Assessments are over; what should we do? Should we sing? Should we dance? I haven’t a clue. Yes! Let’s dance! Yes! Let’s sing! the students and teachers back to life. Take a break — why, yes! That’s what we’ll do. We’ll eat cookies and pizza and ice cream, too. It won’t be long before the school year is through. Then summer will be here; what should we do? Our school year is much longer this year — 8 snow days to make up! I can’t help but feel a little stressed tonight as we wind down and prepare for summer and beyond. I’m thinking, “What should I do…first?” Enjoy your last days of school! 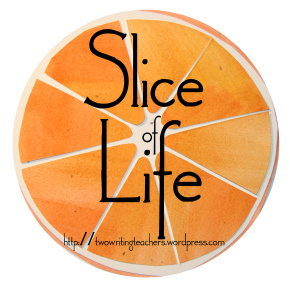 Thank you to the team at Two Writing Teachers for hosting Slice of Life writing. You ladies rock! I know how this feeling goes! Enjoy the last days…find some fun projects, engage in a mini writing unit, research, debate, try a 3-Act Task in math… So many options! Usually kids have decided that school is over once the testing is finished. Now is the time to explore new ideas. Those snow days become long days in the spring. Have fun and celebrate the learning of this year.